Ok, seriously...this house is so dark, that is a shadow on the side of the dresser...I have no future in photography. The best I can do is this attempt at staging this piece. Also, I know there are before pictures....somewhere, the truth is, at this point there are so many pictures on this tablet that it is hard to find anything. The only time I remember that I need to do something about it is when I need to find a specific picture, like now. 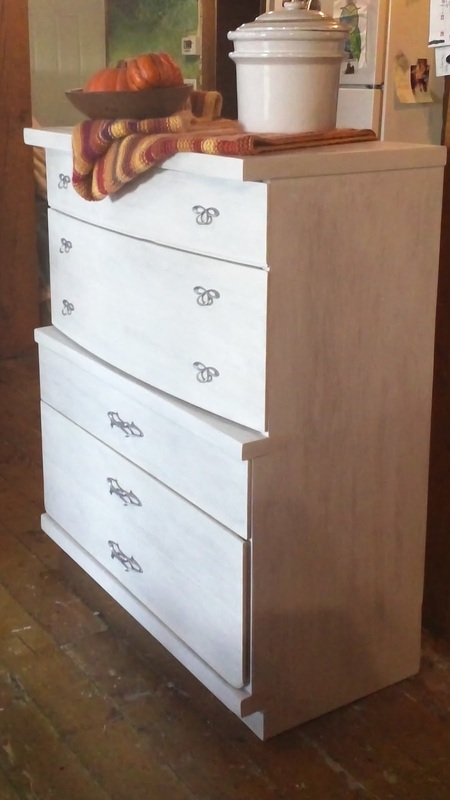 Anyway, this is a custom dresser. 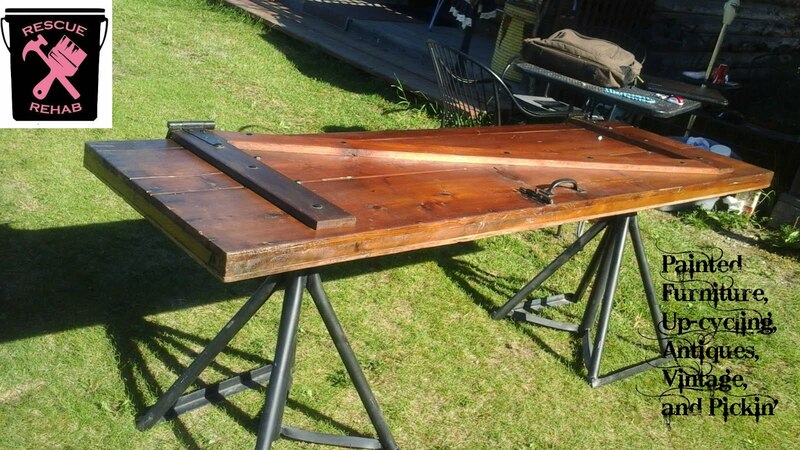 The owner wanted it to match her handmade reclaimed, wooden headboard. I wanted a timeworn finish that was soft, rather than heavily distressed. After sanding, my first attempts were a white pickling stain. After a few coats in a test spot, it became obvious that it would take many, many coats to create the look I wanted. 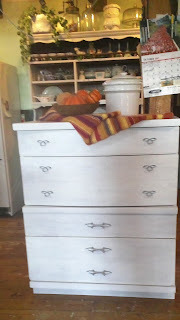 I switched over to Rustoleum's Chalked Paint, which still took quite a few coats, because I watered it down to give it a white washed look. I always wait a day between coats of paint, even chalk type paints. I just find that the paint adheres much better. When I send a piece of furniture off to its home I want the finish to last. I originally intended to spray paint the handles in a brushed nickel, but because of the yellowish hue, I settled on metalic aluminum. This is getting a rubbed wax finish and will be delivered this week. 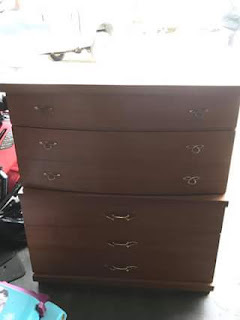 The owner of this piece was kind enough to send me a before picture, thank you Julie!